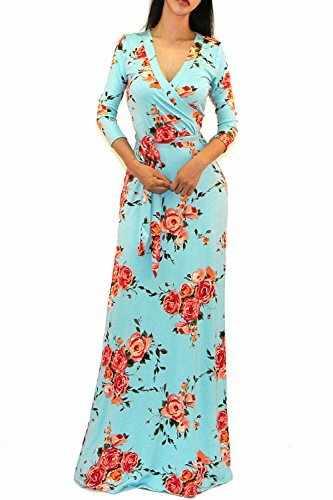 This beautiful full length maxi dress is one of the hottest trend this year. This gorgeous mix color patterned tie dye dress is a perfect wardrobe must have item that you will wear all year. 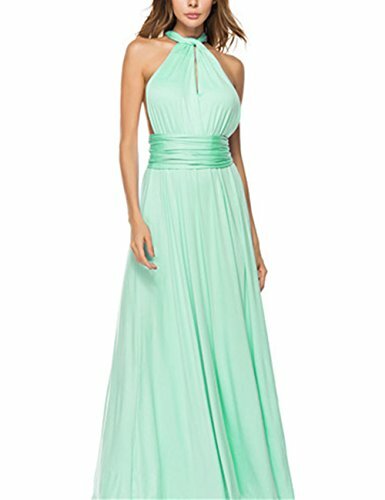 Cleavage wrap maxi dress with tie waist could give so many look from goddess elegance to night out. This maxi dress is an exciting piece to have in your closet, give style yet simple enough to blend with other unique jewelry. Simply structured with bare minimum details. Its perfect style design that creates a statuesque form with its floor-sweeping full length. Rendered from the light weighted fabric, it boasts casual comfort with effortless sophistication. Pair with sandals or wedge heels for an easy weekend look, or dress it up with your favorite statement jewelry. We are so excited to bring it to you with fabulous price. 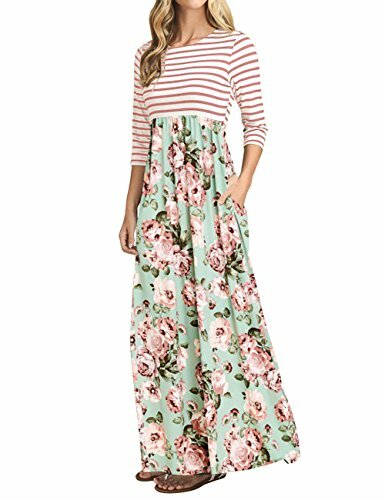 Doublju Short Sleeve Surplice Wrap A-Line Dress For Women With Plus Size MEASUREMENTS AWDSD0763 : S - Shoulder: 13.5 in. / Chest: 30 in. / Length: 30.5 in. M - Shoulder: 14 in. / Chest: 32 in. / Length: 30.5 in. L - Shoulder: 14.5 in. / Chest: 34 in. / Length: 31.5 in. XL - Shoulder: 15 in. / Chest: 36 in. / Length: 32.5 in. 2XL - Shoulder: 16 in. / Chest: 38 in. / Length: 32.5 in. 3XL - Shoulder: 16.5 in. / Chest: 39 in. / Length: 33 in. This beautiful midi length dress is one of the hottest trend this year. This gorgeous mix color patterned dress is a perfect wardrobe must have item that you will wear all year. Cleavage wrap dress with tie waist could give so many look from goddess elegance to night out. This midi dress is an exciting piece to have in your closet, give style yet simple enough to blend with other unique jewelry. Simply structured with bare minimum details. Rendered from the light weighted fabric, it boasts casual comfort with effortless sophistication. Pair with sandals or wedge heels for an easy weekend look, or dress it up with your favorite statement jewelry. We are so excited to bring it to you with fabulous price. Please check the measurement chart carefully before you buy the item. LAID FLAT size chart: *S - Bust:16" Waist:13" Hip: 16.5: Length: 38" * *M - Bust:17" Waist:14" Hip: 17.5: Length: 38.5"* *L - Bust:18" Waist:15" Hip: 18.5: Length: 39"* *XL - Bust:19" Waist:16" Hip: 19.5: Length: 39.5"* * Model tried this item measurement: Height: 5'5 / wearing 4" heels on the pictures Bust: 34C" Waist: 24" Hip: 34" Please note that Colors may appear slightly different via website due to computer picture resolution and monitor settings. 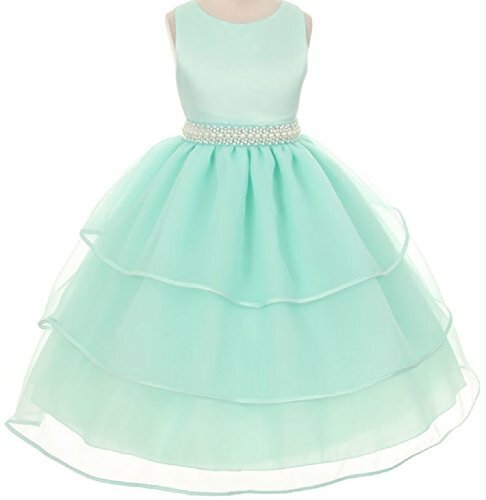 About Products:PARTY LADY brand provide you all beautiful evening dresses. If you have any questions about our dresses or policies, please contact us, we will reply you within 24 hours.Quality Guarantee:1. Carefull select high-quality fabrics and threads to create every dress.2. Our professional tailors handcraft each embellishment perfectly.3. Prior to shipping,our items are carefully checked to ensure the best possible product.Delivery Guarantee:1. We securely package each item to avoid any mishaps.2. Guaranteed delivery date from our worlwide delivery partners.Purchasing notes:1.Please allows 0.5 inch error due to manual measurement.2.Color may be lighter or darker due to the different PC display.3.Machine wash or hand wash cold water, hang to dry in shade, prohibit bleaching.Brand new by PARTY LADY. Please contact us with any issues.We will reply you within 24 hours. 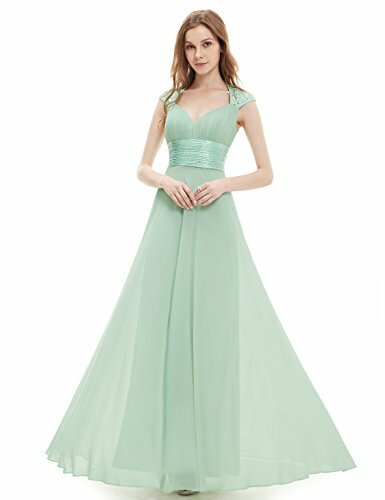 Looking for more Mint Tie Waist Dress similar ideas? Try to explore these searches: Mlb Flak Jacket, Mens Clothing Jackets Fleece, and 1056 Light. 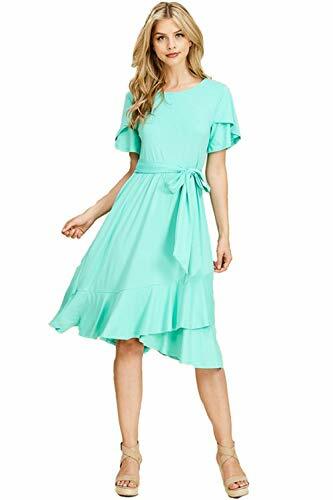 Look at latest related video about Mint Tie Waist Dress. Shopwizion.com is the smartest way for online shopping: compare prices of leading online shops for best deals around the web. 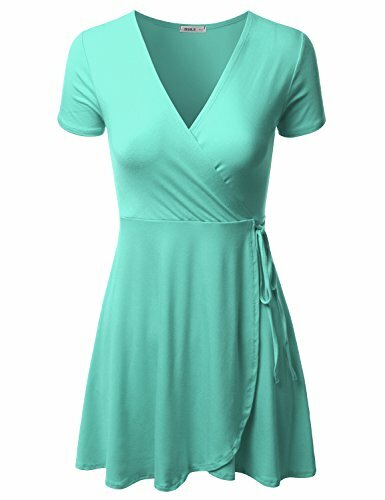 Don't miss TOP Mint Tie Waist Dress deals, updated daily.